The Wyckoff Family heads our west to Sacramento Friday, October 12th to Sunday, October 14th, 2018. Please note, the reunion registration deadline (Sep 15) has passed. If you are interested in joining us or have any other questions, please reach out to Melissa at melissa@wyckoffmuseum.org or call the museum at 718-629-5400. A block of rooms has been reserved at the Holiday Inn Sacramento Downtown at a discounted rate of $139 per night (plus tax). Located on the edge of downtown Sacramento and Old Sac, it offers many amenities including a pool, free wi-fi, and a health club. You must book by September 15 to receive the discount (subject to availability). Call: 1-800- HOLIDAY and reference the Wyckoff Family Reunion, group code UWK. Book Online HERE. 2 – 4 p.m.: Old Sacramento Underground Tour and Sacramento History Museum, Explore how Sacramento was “jacked up!” after the floods at the end of the 19th century. The tour is ADA compliant, but does visit areas with uneven surfaces and low ceilings. Onward! We encourage you to spend more time exploring this culturally and historically unique city. The registration deadline (Sep 15) has passed. If you are interested in joining us or have any other questions, please reach out to Melissa at melissa@wyckoffmuseum.org or call the museum at 718-629-5400. Full Reunion Registration fee is $110 and includes T-shirt, Friday reception, Saturday meeting with refreshments, coffee, and lunch at the Delta King, underground tour, museum admission and administrative costs. Children 4 to 12 register for $50. Children 3 and under are free. Day Rate Registration fee is $50 for adults and includes Saturday meeting with refreshments, coffee, and lunch at the Delta King, and administrative costs. Children ages 4-12 register for $25. Children 3 and under are free. Saturday Night Wyckoff Family Dinner at Rio City Cafe includes salad, entrée with sides, breads, dessert, soda, coffee, tea for $55 per adult. Child’s meal options also available. 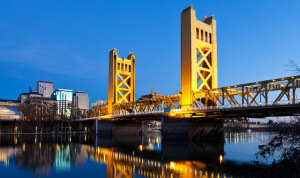 Hornblower Cruises – 1-hour cruise on the Sacramento River, $20 tickets for adults. Purchase your own online.